Limit 1 per person. Valid on tractor pickup, delivery and tuneup. Additional parts extra. Promotional value expires 90 days after purchase. 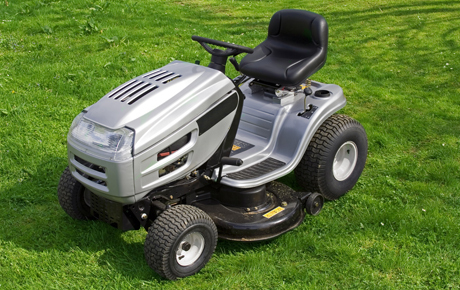 Treat your lawn tractor right with this deal for 50% off pickup and delivery of your lawn tractor from River’s Edge Cadet LLC in Janesville ($180 value). This deal also includes a full tuneup and labor costs. An experienced technician will change the oil and filter as well as the fuel filter. They will also sharpen the blades, clean the deck and tractor, grease the tractor and if needed, change the air filter and spark plug. With 27 years in business, River’s Edge Cub Cadet continues to provide full service, sales and parts for their lawn mowers and tractors. This locally owned and operated company boasts the largest supply of mower and tractor parts in Rock County. Transport your treasured tractor with River’s Edge Cub Cadet’s steadfast service.